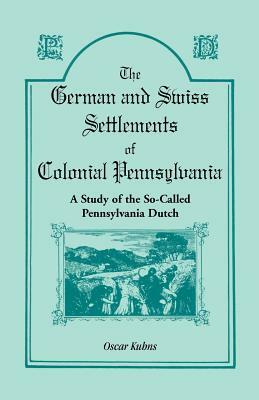 This CD contains a facsimile of the vintage work on German pioneer lifestyle, The Domestic Life and Characteristics of the Pennsylvania-German Pioneer: A Narrative and Critical History Prepared at the Request of the Pennsylvania-German Society (1900), by F. J. P. Schantz. Schantz's account examines early dwellings, early supplies and food, farming, clothing, livestock, religion, childcare, servants, care of the elderly, hospitality, special occasions, and characteristics of the Pennsylvania-German pioneers. An appendix supplies "Christopher Dock's One Hundred Necessary Rules of Conduct for Children. "The United States is a rich mosaic of diverse ethnic groups. It is important to understand and appreciate them all. This volume looks at the German Colonial Era and examines the beginnings of German-American social history with the aim of providing a greater understanding of German-Americans and their way of life.The format used on this CD preserves the look of the original page, however, there is no electronic index and the CD is not electronically searchable. Numerous illustrations enhance the text.